When I was a travel agent everyone would tell me they wanted the ‘cheapest’ hotel available. When I asked a few more questions it turned out this wasn’t entirely true. What they actually wanted was for their holiday to be how they imagined it to be in a price range they were comfortable with. In reality absolutely no-one actually wanted the cheapest hotel available – the $60 a night dump 15km from the town centre! For most people our annual holiday is one of the most important and special things we buy each year. It’s a substantial investment to be able to visit a bucket list destinations. Often we have dreamed about the holiday for years and on return will reminisce for many more to come. 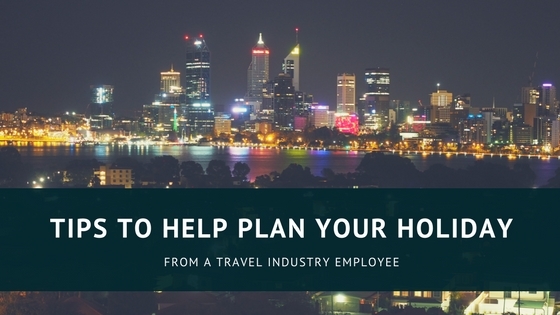 If your booking a resort or accommodation based holiday you need to ask yourself some questions while planning your trip. What things can’t I live without my resort having? Is it a swim up bar, a view from the room or a beachfront location? How much time will i really spend in my resort or room? Is the holiday about relaxing by the pool or exploring the destination? Is a rental car key to the freedom I want to explore an area? Or would I rather catch taxis and drink beer at lunch (let’s face it this a reality on every aussies holiday). Then ask yourself are these things more important than the length of the holiday or the other things you need in the budget. For example do you really want to spend time in your room cooking to save money (this may be how you fit it in your budget) or would you rather be out trying local cafes. Would you like to relax on your room balcony or rather spend your time out on adventures. For each person the most important things will be different. You have no idea how much variance there is in what people value while on holidays. Close your eyes and imagine what your holiday will look and feel like. Now think about what can live without to make it happen within your budget. Can you go for 3 days instead of 5 for that ultimate luxury retreat or location? Is your holiday really going to be how you imagined if your room has no view? Or do you see your room as just a place to sleep and if you stay in a more budget hotel you can stay twice as long. I can’t tell you how many disappointed people I’ve seen who weren’t willing to spend a tiny bit more cash to make there holiday what they imagined. Ultimately, once they realised they have chosen the wrong hotel, room type or tour standard it’s to late to to upgrade or get what they really wanted. Think about your priorities and choose what you need to do to make it happen. Tours can be an incredible way to experience a destination. From small group adventures with 4wd buses to luxury touring with special experiences planned just for group members than can be an awesome option. You need to look carefully at what and how much is included. Some companies offer tours that include just accommodation and travel, so you don’t have to stress about navigating between cities by yourself but then your free to explore the destination on your own. Other tours include every activity and meal imaginable while most tours fall somewhere in the middle with some actiities and meals extra and some part of the package. Also be sure to check if there are an ‘extras’ you have to pay for called a kitty or similar. In Australia tours can be a really cost effective way to travel huge distances and experience the incredible landscapes. There also a great way to see remote areas if your not comfortable or experienced in a 4wd or going those places alone. You always need to look at the type of tour. Do you really want to the most budget camping option if you can’t go a day without a hair straighter and power. Or is the luxury tour going to get you out amongst nature to have a truly unique experience. This is one area where sometimes stepping outside your comfort zone can be a life changing experience. While camping trips for many people carry a lower financial stress it’s still important to think about some options while planning. Hiring a car for you trip? Do some research, is the waterfall you want to visit only accessible by 4WD and will the rental company let your take it there? How busy will your campsite be? If your travelling in peak season you may need to arrive very early in the day if it can’t be pre-booked. When you book your flight the most important thing is not the price. Trust me. It’s that you have considered where you will be going after you arrive and before you leave so you don’t literally miss the most important part of your holiday. There is no point buying a $100 budget fare if it arrives after the last boat or bus to you end destination has left. The end result of realising you have lost a nights accommodation or missed the start of your tour will be much more costly than spending the extra $100 on a conveniently timed flight. Also make sure you have accommodation at your destination. There is no point booking flights to visit a destination with only one resort that’s already booked out! You can hold in most hotel rooms with free cancellation through booking.com to avoid this situation. Are you visiting an island? How are you getting there – chances are good you need to book and confirm your ferry or transfers before you go. Is there actually uber at your end destination or would pre-booking a transfer or taxi save a huge couples fight at 11pm at night? How can I help you plan your trip? I hope these things help you with planning your trip. This list is based on real things I’ve seen clients do when booking for themselves or through and agent. I’ve seen people crying because they wanted ocean views, people upset because they were stuck in the airport for hours because they booked the most budget flight, people shattered because they ring to book accommodation when hotels are booked out after already buying their non refundable flight and people making mistakes like booking flights themselves that arrive after island transfers leave. While most of these things are first world problems, they still have the potential to turn your special holiday into a less enjoyable experience. An agent is always a great option to avoid unplanned surprises but chances are like me, you book most of your trips yourself. If you want some advice on Australian destinations just ask on the See Something New Australian Travel forum and I can help you research the answer. Happy holiday dreaming, and don’t forget you can hold in most hotels with no deposit and free cancellation through booking.com. This gives you the chance to get your other ducks in a line like flight and rental car availability with the certainty you will have a room to stay in when they’re booked. Hotels can’t guarantee anything. Fitting guests in is like a jigsaw puzzle and unless you pay for what you want it may not happen. They try there best but if you are one of 100 people for the night that wrote ‘ocean views or high floor please’ on your request for a room type with only 50% of the rooms having that experience someone is going to miss out and chances are good it will be you. Want to enjoy ocean views or high views of the city? Make sure you pick a room type that GURANTEES IT in the room description such as ‘all with ocean views’ or ‘floor 35 and above’. If it says ‘some with’ there is no guarantee you will get the room you imagine. Don’t ignore reviews but don’t take them as gospel either. Aways look at the context of the review? Is the person winging about flies in the outback in summer as part of their review (these reviews really happen!!!)? Chances are good it’s not a unbiased or sensible opinion on the rest of the experience either. That been said, those reviews can help you to identify destinations that may not be for you. Does the reviewer list some pro’s and cons and give a fair rating? Chances are good it’s a fairly accurate description. Is the resort your picking $250 a night 4 stars but with everything you want? Yes it’s a still a lot of money but have a realistic expectation. It will probably be a super fun holiday but don’t go expecting $1000 a night 5 star service and experiences. Is the resort in a remote location? There rooms will be more expensive than those of a similar standard in the city. These places often have to generate their own power, manage their own water and sewage and get supplies in on trains, trucks or boats, sometimes from 1000km away. These costs are substantial and all add to the price of the experience. 4 stay in the outback probably wont be the same as 4 star in the city. Yes there are standards they meet to get that but the hotels will likely still be different. When a deposit or the hotel rate your booking says non refundable its actually non refundable, that’s why its a much cheaper rate. Even if you get sick or have another reason you feel is valid. Domestic travel insurance is cheap as chips, an annual plan is a good option to cover all your big trips and weekends away. It can also be a really cheap way to cover your rental car excess.